Girls will love this Princess Aurora inspired birthday card. Princess Aurora is more famously known as Sleeping Beauty. 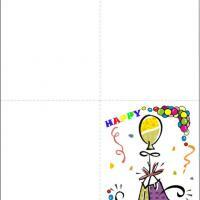 These black and white free printable cards will be perfect if you will add colors and design to it. 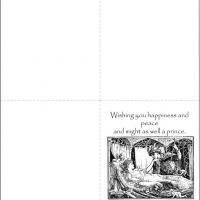 It also makes an elegant black and white card for older friends who love the old fairy tales. Either way, these printable birthday cards are absolutely beautiful and make a great gift just on their own, let alone whatever else you choose to add to it. Wish the celebrant for happiness and to she find her prince as well. After all, birthdays are about love as much as celebration. All's that vintage and Victorian style is a current trend in decor and stationary. The Princess Aurora inspired printable birthday card has a vintage long ago design. The black and white printing is a nod to a long ago fairytale time. The baby angel cherubs and little animals are of a Victorian era. 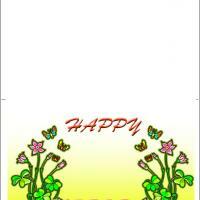 The card makes a statement of happiness and peace. It goes further to wish a handsome true-love prince for a happy-ever-after kind of life. And if that was not enough special touches, use the custom print feature to add a personal message to these free printable birthday card. A fairytale brings fantasy and whimsical thoughts to life. Our Aurora themed free printable birthday card brings the story of sleeping beauty to life. She was a young girl who was a princess in her own right that was meant to sleep until a real prince arrives with a kiss. 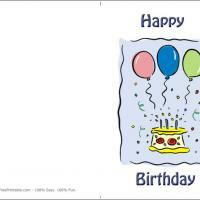 We know you have a special birthday princess who will love this happy endings birthday card. The front is an exquisitely detailed black and white pen and ink drawing. This design lends to the vintage feel of the card. 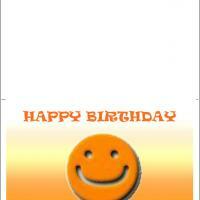 The inside is blank just so you can add your own personal sentiments.